Those who were active in the leadership of INETA over the years also included Julie Lerman, Chris Pels, Rob Zelt, Robin Edwards, Joe Guadagno, Julie Yack, Kevin Griffin, Steve Andrews, and many more (if I missed your name, forgive me). It is through the hard work of volunteers that INETA made a big difference for developers around the world. One of the many cool things INETA did was build a team of membership mentors who could help steer new and existing user groups in the right direction. You can the most recent list of mentors here. And of course, INETA couldn’t have done all it did without the tireless work of Nancy Mesquita. Nancy, thank you for all that you did for INETA and the developer community! I had the privilege of being a part of the INETA speakers bureau, both in the early days prior to my tenure at Microsoft (as part of the national speakers bureau), as well as in recent years when I returned to independent consulting, as part of the regional speakers bureau, a project spearheaded by Chris Williams (who was also a speaker and mentor as well). In fact, I did two user group talks through INETA just this past month. And I also worked with INETA to help promote member group events through Community Megaphone, and had the pleasure of doing so with Lori McKinney, a longtime INETA volunteer and keeper of the website. Lori was also the most recent INETA Lifetime Achievement award winner. Thanks, Lori, for putting up with the occasional hiccup and API snafu with such good grace. Being able to play a small part in the work of INETA is something I take pride in, and I have no doubt that my involvement with INETA was one of the things that helped me land my job at Microsoft as a Technical Evangelist, so in a very real way INETA helped me grow in my career, and I was glad to be able to return the favor by supporting the group while I was at Microsoft. 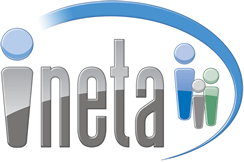 INETA will doubtless be missed, but I think one of the best tributes to what they have done is the fact that they are leaving behind a very strong community, as well as an impressive track record for an organization that was nearly 100% volunteer-driven. There are many great stories I could tell, hallway conversations at conferences, training sessions, and more. But I’m going to save those for another day. Today, I’ll simply say, to everyone who’s been a part of INETA, from board members past and present, membership mentors, speakers bureau members, and all of the user group leaders past and present who’ve participated, congratulations on a job well done!